Could-based customer support software with enhanced data security features. If your requirements include customer support solution with advanced security, PhaseWare Secure Cloud is the clear choice. Secure Cloud is HIPPA compliant and HITRUST certified. Rest assured your customer data is completely secure. Our products offer the most comprehensive app level security standards to ensure that your customer data remains safe. Some of the top features include Two-Factor Authentication, various password security features (see below), HTTPS for in-transit data encryption and more. Our network security includes IP Reputation Management, DDoS Prevention, Web Application Firewalls, Network Intrusion Detection and a Hypervisor Firewall to ensure that all network traffic is filtered. By using curated blacklists and policies, our network level security stays up to date which mitigates unwanted network traffic. Our security standards go beyond the network level. Hosts are always up to date with the latest patches. Malware protection is standard. Host security measures also include OS File Integrity Monitoring as well as scheduled vulnerability scans. Tracker Beyond has several password security features such as password strength requirements, password encryption, and account lockout after so many failed login attempts. All password security settings can be configured by your administrators in dedicated security screens inside of our application. PhaseWare uses advanced encryption methods to secure your data both in transit and at rest. Your customer data is encrypted using HTTPS during transfer and Folder-Level data encryption while at rest to provide maximum security. Secure cloud uses a closed-loop system that utilizes system logs to actively learn how to deal with security threats. Using a combination of intelligent auditing, custom controls and defense techniques, Secure Cloud keeps your customer data safe. 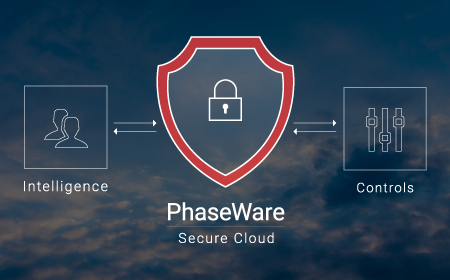 PhaseWare utilizes Armor secure cloud hosting to take advantage of their Intelligent Security Model (ISM). Armor actively monitors our single-tenant cloud environments for maximum security coverage. This allows us to provide our customers with the best data security available. Customer data security can come in many forms, the most effective from is delivered using PhaseWare Secure Cloud. If you think PhaseWare Secure Cloud is be a good fit for your organization, please feel free to contact us. A friendly member of our team is only a click away.